Windows are used to allow outside weather into the house, and also keep it out when necessary. Without proper installation, windows do not deliver on these requirements. This usually comes with grave consequences as far as the health of occupants, and the structural integrity of the house is concerned. Additionally, windows have an important role to play in the general appearance of a house. Properly installed windows should be perfectly integrated into the structure of the building. Read on to learn some useful tips on how to properly install windows on your next project. One of the common mistakes builders make when it comes to windows installations involves the drainage of water and moisture in the siding. In most cases, builders believe that siding is 100% effective in keeping moisture and water out. However, this is not always the case. It is essential that you find a way of diverting moisture and water sliding down the house wrap outside. If this is not achieved, the moisture and water will find a way to a wall cavity and with it, the formation of mold. Manufacturers usually provide a detailed list of installation guidelines to be followed by builders when using their products. Following these guidelines is supposed to ensure that the final product works accordingly, without any problems. Additionally, following the manufacturer’s guidelines to the letter ensures that the validity of the product’s manufacturer warranty is maintained. Some of the main focus areas when it comes to these guidelines include the crafting of effective and waterproof sill pans, and installation of window shims. It is important to mention that these guidelines are not just there for use by novices but also for professional builders as well. It is easy to get confused when following guidelines from different manufactures when it comes to dealing with different materials used in windows installation. Window, house wrap and flashing tape manufacturers have different installation guides for their products. Builders have to follow each one to the letter to ensure the manufacturer’s warranty remains valid. Where these guidelines call for contradicting actions, it is recommended that you use the safest protocols. For instance, where one manufacturer calls for a simple flat sill pan and the other a sloped sill pan; it is recommended that you use a sloped pan. 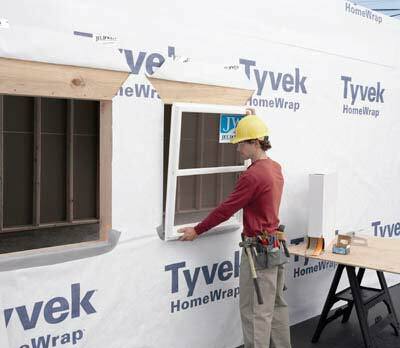 How the rough opening is prepared using house wrap and pan flashing plays a huge role in how well the window will be able to keep water and moisture out of the structural cavity. Most builders make the mistake of cutting an X-shape into the house wrap and subsequently stapling the resultant tabs into the opening made before installing the window. This may allow water to move behind the windows top flange once installed. Alternatively, you can cut a top tab that covers the windows top flange when installed and use pan flashing to drain any water that gets in. Proper house windows installation is vital for a number of previously stated reasons; builders can use the above tips to ensure that this is done. Are Planning To Buy A Home?